Are you looking for a place where you can be yourselves and, at the same time, develop your future careers or new skills? Are you both fond of ecology & music and want to make a change in the world? We are looking for part-time interns in the ECO program we are running at Electric Castle festival (12th-16th July 2017). Wanna be you? 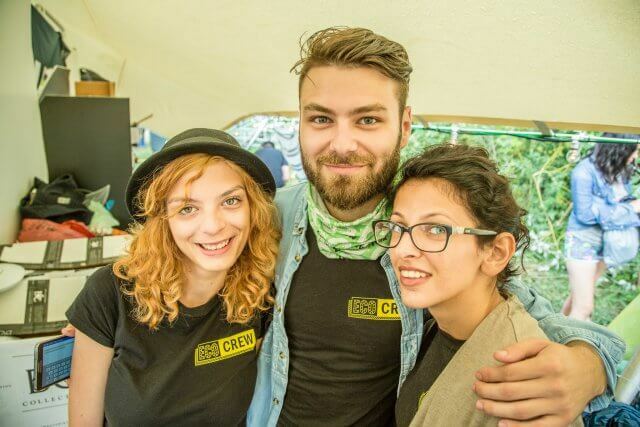 We offer you: a once in a lifetime experience at Electric Castle and our mentorship so that, at the end of the three-months internship, you will have gained practical and diverse experience in the communication field, with a focus on: ecology and sustainability, organising events, brand development, social media, research and awareness campaigns and engaging with diverse audiences. Project Manager of the MDC campaign at Electric Castle 2017. A creative, an out-of-the box thinker, with a nice and natural social presence. UPDATE: The application is still open for two roles: Promoter and Social Media Communicator. Read below the description of the roles and APPLY HERE (click to fill in the form). ECO volunteers wanted! MAINOI and Electric Castle are taking the ECO sustainability program of the festival further this year. After the success of our 2014 and 2015 programmes, we decided making this year’s program, named ECO Challenge, even bigger and bring the ECO site to the camping too, with an ECO cinema. For those of you who don’t know much about it, ECO Challenge is a project designed to raise awareness about climate change and to educate people about the importance of being eco-responsible. This year we’re looking for a team of dedicated change agents, on both paid and unpaid positions, volunteers who share our vision and who are willing to be an active part of all of our eco-activities at the festival.